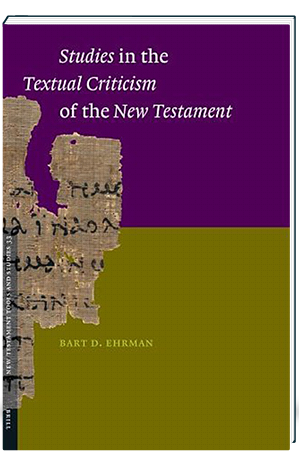 For the first time in one volume this book presents contributions to the textual criticism of the New Testament made over the past twenty years by Bart Ehrman, one of the premier textual scholars in North America. The collection includes fifteen previously published articles and six lectures (delivered at Duke University and Yale University) on a range of topics of central importance to the field. Following a general essay that gives an introduction to the field for beginners are several essays dealing with text-critical method, especially pertaining to the classification of the Greek manuscript witnesses. There then follow two articles on the history of the text, several articles on important specific textual problems, and three articles on the importance and use of patristic evidence for establishing the text and writing the history of its transmission. The volume concludes with six lectures designed to show the importance not only of reconstructing an allegedly “original” text but also of recognizing how that text was changed by scribes of the early Christian centuries. 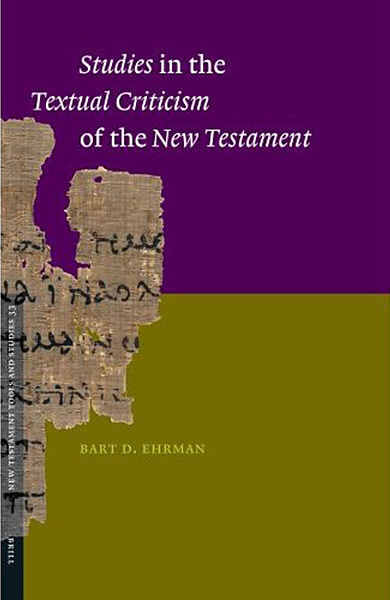 This book will be of vital interest to any scholar or advanced student of the New Testament and early Christianity. It will make an ideal companion volume for Bart Ehrman’s ground-breaking study, The Orthodox Corruption of Scripture: The Effects of Early Christological Controversies on the Text of the New Testament (Oxford, 1993) and the volume he co-edited with Michael Holmes, The Text of the New Testament in Contemporary Research: Essays on the Status Quaestionis (Eerdmans, 1995).